So here it comes… …Give it up for the ultimate Charlotte Cake inspired Bánh da lợn with a rich and cream-like white sesame filling! … Well, okay. Maybe, I am exaggerating a bit right now, but really, I can tell you, if you have ever tried Vietnamese Bánh da lợn and fell in love with it in an instant (just like me 🙂 ), then you will be absolutely thrilled about this “Europeanized” version. Actually, this cake is my contribution to my mother’s birthday party last sunday and luckily, my mother was quite happy with the result, since we both are huge fans of the traditional Vietnamese Bánh da lợn which literally means “pig skin cake”. But you can rest assured, I didn’t use any pig skin to make this dessert. I think it only got its name due to its texture which is supposed to be as gelatinously soft as real pig skin. Normally, this Vietnamese cake is made by steaming differently flavored and colored batter layers consisting of coconut milk, tapioca and rice flour. That’ s why it is also known as ” Bánh Chín Tầng Mây” (Nine Cloud Layers cake). Besides, I was quite into the white sesame filling which was actually not a real cream or mousse, rather a chewy, tender and fluffy something that I don’t know how to describe. By the way, in my case I ended up making too much batter, but I thought it would be a waste to throw the leftovers away, so I just poured the remaining batter in another greased baking dish, put it into the steamer and finally decorated it with some dried raisins as you can see in the picture. And lo and behold, you have another nice dessert that is ready to be served. Rinse and drain mung beans, put them in a little pot with the double amount of water and cook them for about 15 mins until they are tender and soft. Remove the foam on the surface occasionally during the cooking process. Let cool down for about 15 mins. Purée your mung bean mixture by using an immersion blender for example. Dissolve the sugar and vanillin sugar from (A) with 200 ml of water. Combine the coconut milk, sugar mixture, a pinch of salt and the tapioca and rice flour from (A) in a big bowl and stir well. 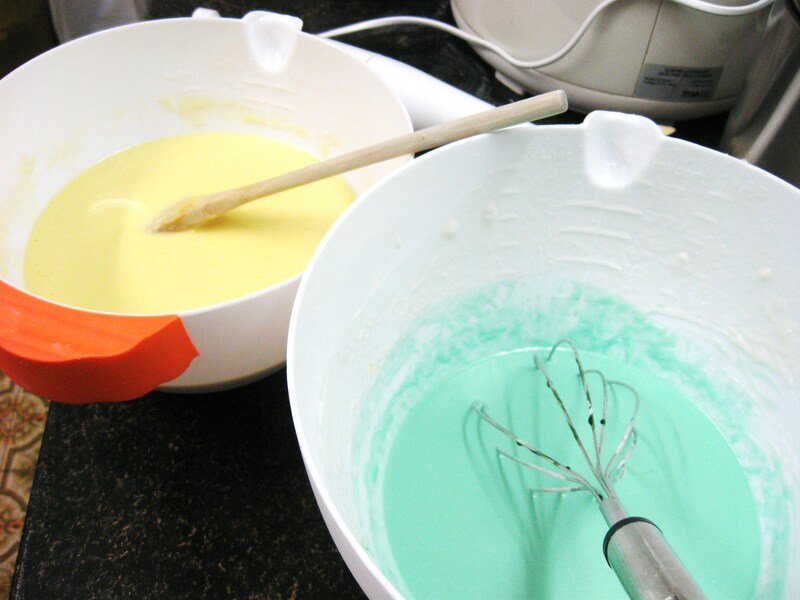 Divide the batter into two halves. 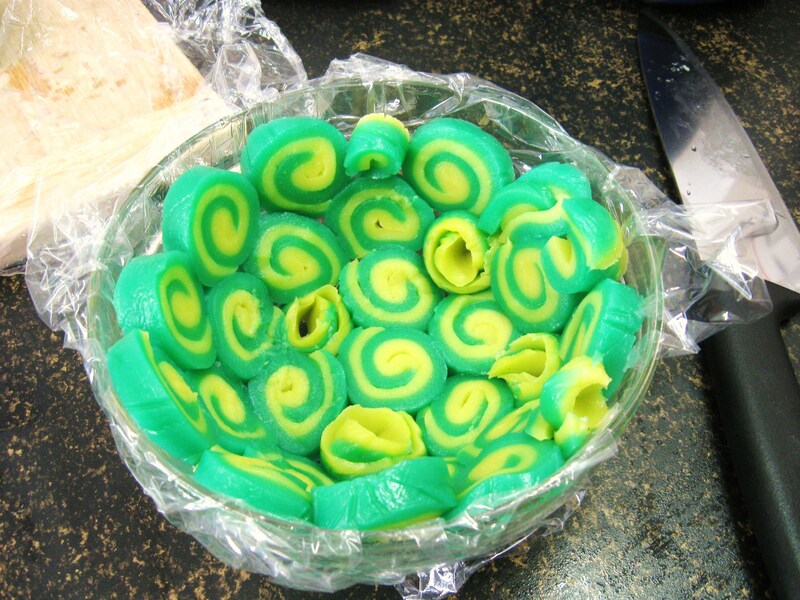 In one half add a few drops of pandan extract and green food coloring. 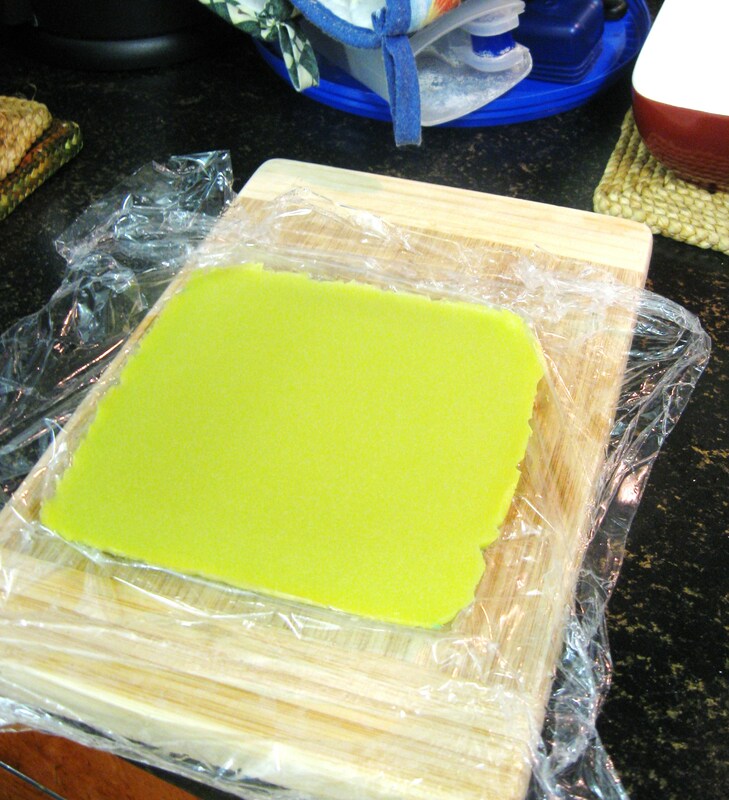 In the other half add the mung bean paste and yellow food coloring so that you will have two different batters. 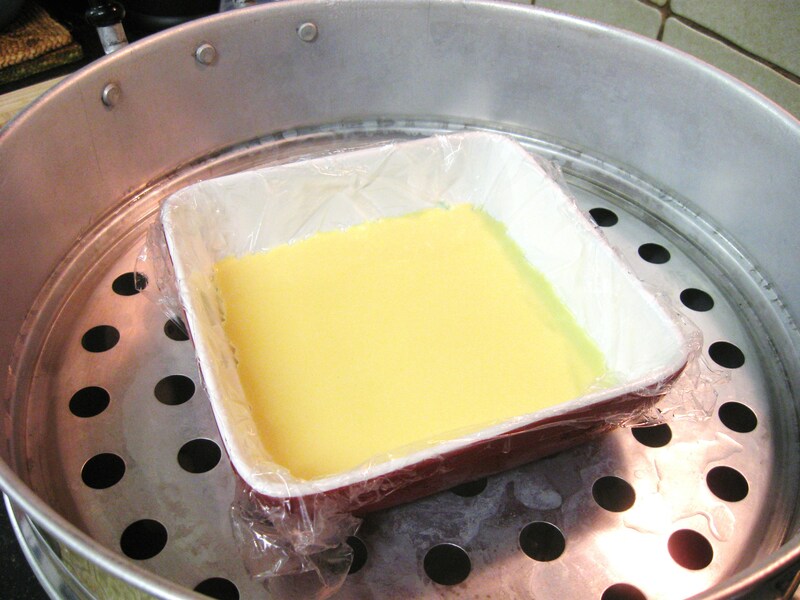 Now, grease a square baking dish (about 15 x 15 cm) with some vegetable oil and line with some cling wrap until it is totally covered. Next, pour a bit of the green batter into your prepared dish so that the layer is approximately 0.5 cm thick. Put the dish into a ready steamer, cover with a piece of kitchen foil which has been cut in a few times and steam for about 5-8 mins. If the green layer is ready, take it out of the steamer and pour about the same amount of the yellow batter into the dish and spread evenly. 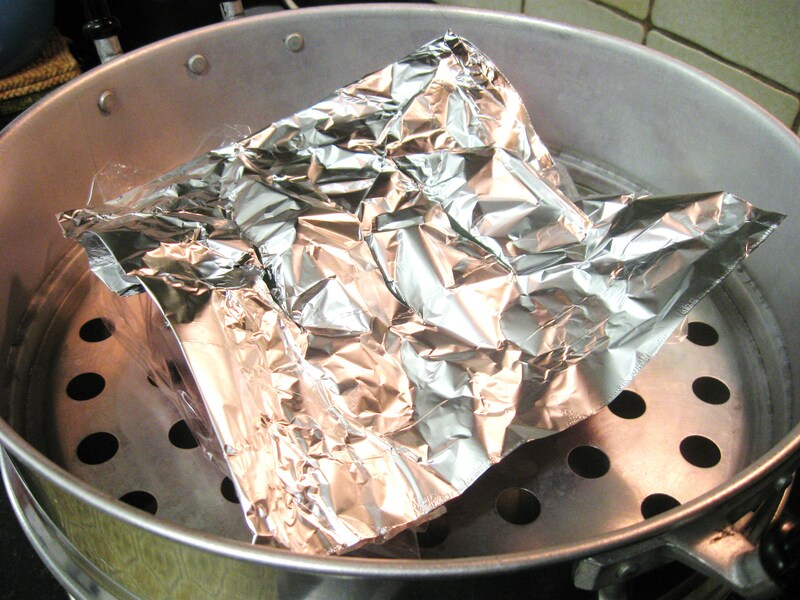 Put into the steamer again and steam with the kitchen foil on top for another 5-8 mins. Then take the steamed layer out of the dish. 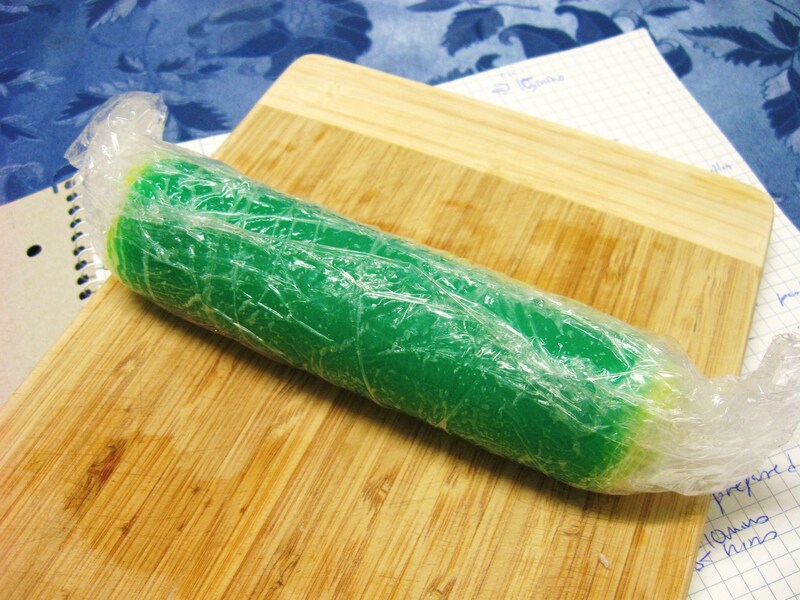 Make a roll while it is still hot and cover with the cling wrap you were using before. Repeat the steps 8 to 13 until one or both of your batter mixtures are gone. Makes about 5 rolls. Let your rolls cool down completely (at least 2 hours) until you continue. Now, dissolve the sugar and vanillin sugar from (B) with 100 ml water. Combine the cream, the sugar mixture, the tahini and the tapioca and rice flour from (B) in a bowl. Take an immersion blender (or use a normal blender) and mix well until it becomes slightly foamy. Grease a big soup bowl with some vegetable oil and line with cling wrap. Unwrap your rolls and cut it with a wet knife into 1.5 cm thick slices and coat your soup bowl with them until totally covered. Pour the sesame batter into the bowl until it reaches the edges of the slices. Put everything into a ready steamer, cover with a prepared sheet of kitchen foil again and steam for about 30 mins or a bit longer. Take out of the steamer and let cool down for at least 2 hours. 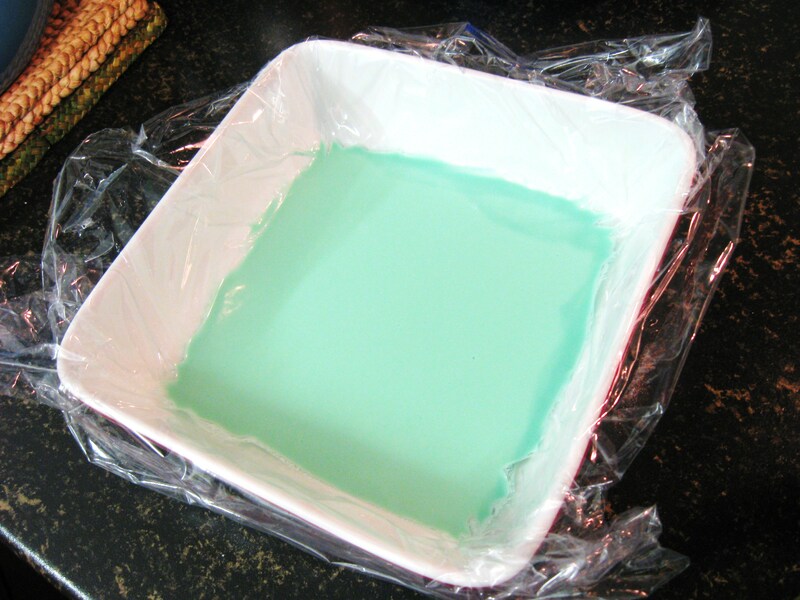 Finally, flip the cake onto a big plate, remove the bowl and cling wrap. Decorate with some raw and skinned peanuts to your liking. Use a wet knife to cut into pieces. You’re so inventive and the cake looks gorgeous…! I love tapioca-based cakes, they remind me of mochi which I also adore…:)!! Thanks ^-^. Yes, I think tapioca is a great ingredient for desserts and cake, since it is quite variable. I should admit that this looks like a desert from the cartoon movies so fun colour.